Do we need a dog park? Statistically speaking, 33% of Americans own at least one dog. The town of Longmeadow has almost 2000 dogs registered. 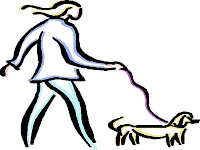 Most people who walk their dogs do so using town sidewalks, parks and school yards. Inevitably, some dog owners do not pick up after their dog’s waste which creates a potential health hazard and a nuisance. Creating a designated dog park would offer area dog owners a safe, secure location to exercise their dogs and offer a social outlet for area dog owners to meet people with similar interests without encroaching on our local parks and athletic fields. Studies also reflect that communities with dog parks report that they have fewer complaints regarding excessive dog barking, dog waste in public areas and aggressive dogs/dog bites. I would appreciate it if you would please take a few minutes to fill out a short survey (online survey by SurveyMonkey.com). This survey applies to all residents, dog owners and non-dog owners, as the answers should reflect the opinion of a cross section of residents (of our town), and whether they feel there is a need for a Dog Park. Although it is targeted to Longmeadow residents, I would welcome the opinion of anyone in our area. Depending on the outcome and interest, I may present it to the Longmeadow Parks and Recreation Department for consideration.